Articles Are you ‘padding around’? As spring comes in with its flurry of color and freshness, I am hearing a lot of my patients having a little groan. Yep thats right… a groan, a I-am-not-quite-ready-to-come-out-of-my-nest-groan. I hear about sluggishness and a desire to get up and go but folks are finding it hard to take those first steps. If this is you, rest assured you are not alone! This is one of the gifts of Spring. SLUGGISHNESS? Yes! By far, one of the biggest teachers. 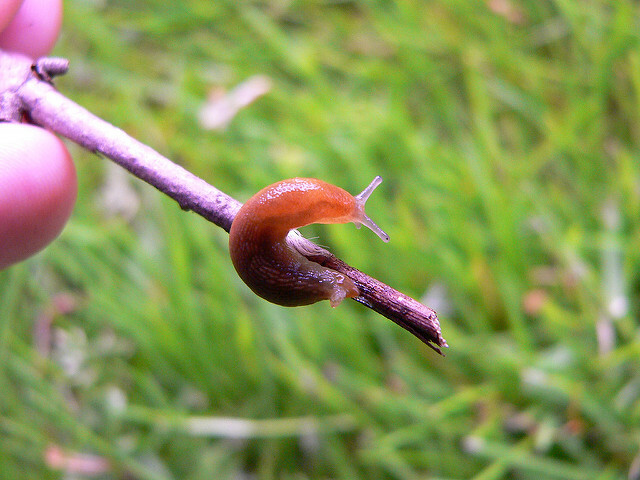 Often times, it is our mental state that solidifies the slug in us all. We give our selves a pass or the classic ‘there is always tomorrow’ talk. MY ADVICE: Move your physical self and your mental self will follow. This is a great time of year to PLAY, to ROLL in the grass, to STRETCH the sticky stuck parts of us, to JUMP, to DANCE. We forget that when we move, we are moving all of the parts of ourselves – the lymphatic system, the organs, the blood to our cells – every bit of us gets a treat. OTHERWISE, we may find ourselves ‘padding around.’ I am borrowing this saying from one of my favorite patients: a 66 year old woman, retired and widowed, and in many ways figuring out how to live in a whole new way. I had to ask her – what exactly is padding around ? She tells me that she spends her mornings ‘padding around,’ trying to start the day, eating around 11 or noon, doing a little bit of this and a little bit of that. By the afternoon her energy is crashed and she is craving sweets for a quick pick me up to make it through the evening. #1: MORNING THOUGHTS: notice what they are and decide if they are helping. If they are not, create new grooves with an affirmation or excitement for some part of your life. #2: EAT WITHIN AN HOUR OF WAKING: balance your blood sugar first thing with a warm, protein rich breakfast to avoid afternoon crashes. #3: STAY AHEAD OF THE HUNGER: keep your body fueled every 4 hours with a balanced snack or meal, complete with a protein or healthy fat and veggie. Check out my pal and culinary wizard, Lauren Chandler for her delicious Savory Nut & Seed Clusters, an on the go snack that won’t leave you on a blood sugar roller coaster! #4: FLUSH: move out the toxins and make room for the good stuff by hydrating throughout the day – half your body weight in ounces everyday! #5: START SMALL: sometimes all you have to do is tie your shoes and walk out the door, a brisk walk can KICK OUT THE SLUG in all of us. The testimonials, statements, and opinions presented on our website are applicable to the individuals depicted. Results will vary. The testimonials were voluntarily provided and are not paid, nor were they provided with free products, services, or any benefit in exchange for said statements. The testimonials are representative of client experience but the exact results and experience will be unique and individual to each client.